Lost Levels :: View topic - [MSX2] Metal Gear 1 & 2 Lost Levels - A website about unreleased video games. Found this on a Japanese blog called Terebi Gēmu Kōryaku Dō. 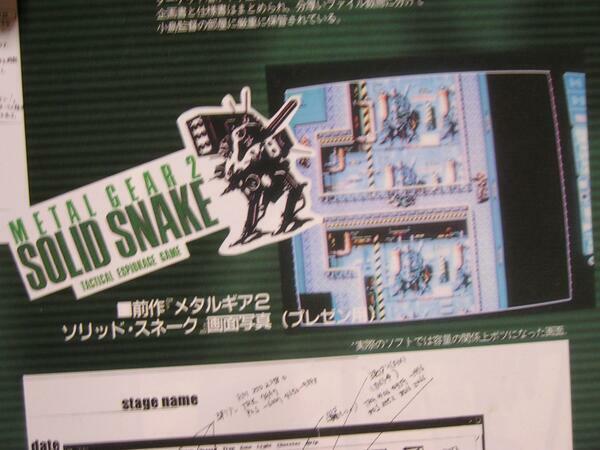 An early ad for the MSX2 version of Metal Gear. The main difference I've noticed in these screenshots is that the fence in the first area is different, there's an Oxygen gauge below the Life gauge, and it seems Snake is wielding a shotgun in the right screenshot. The pic on the first link is way to small to make anything out. Got a better pic of the shotgun? Upon closer inspection, it might not necessarily be a shotgun on the weapons icon. It's probably just a weird looking handgun. Hard to tell, really.